WILLIAM HOWARD TAFT was born September 15, 1857 in Cincinnati, Ohio. 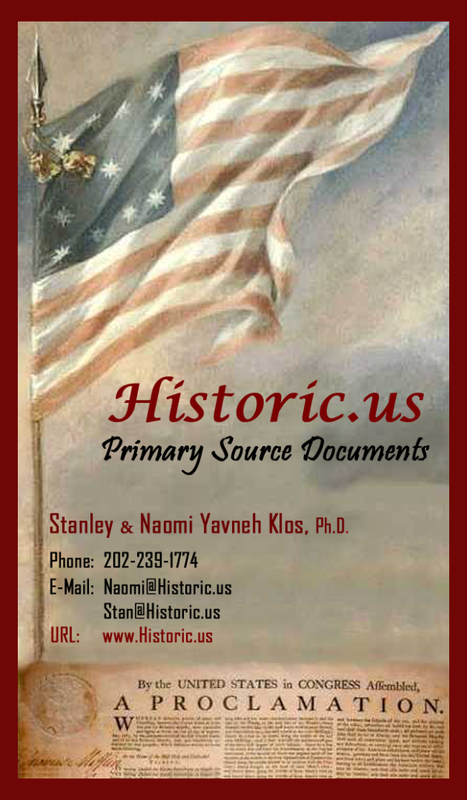 Both of his parents were descendants of old New England families of British origin. His father, Alphonso Taft, a native of Vermont and the son of a judge, had moved to Cincinnati in 1837 to practice law and later served as judge in Ohio, secretary of war and as attorney general under President Ulysses S. Grant. His mother, Louise Torrey Taft, came to Ohio from Massachusetts years later as Alphonso's second wife. Traditions revering education and public service ran strong in the family, and young Taft strove to emulate and exceed his father’s example. Taft received his early education at the local Cincinnati schools, where he was an intelligent student. In 1874 he entered Yale, where he was both successful and popular. When he graduated in 1878, he ranked second in his class. After graduation, he went home to Cincinnati, which was the political base for the Taft family through several generations, to attend the Cincinnati Law School. He graduated in 1880 and passed the Ohio bar the same year. Only a few months passed between his graduation from law school and his first public appointment as assistant prosecutor of Hamilton County, Ohio, in 1881. The next year he was appointed Cincinnati's collector of internal revenue, but later resigned to pursue a private law practice. He practiced law in Cincinnati from 1883 to 1887. In 1885 Taft returned to public service as assistant county solicitor in Hamilton County. 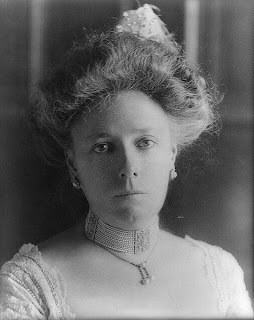 On June 19, 1886, he married Helen Herron, whom he called Nellie, the daughter of a well-known Cincinnati lawyer. The couple had three children, Robert Alphonso Taft (1889 – 1953), Helen Herron Taft (1891 – 1987) and Charles Phelps Taft (1897 – 1983). An intelligent and ambitious woman, Nellie Taft played an important role in Taft's career and in his advancement and a principal influence in persuading him to leave the law and the bench. In 1889, although only 32 years old, President Benjamin Harrison appointed Taft as United States solicitor general. Much later, Taft attributed his success in these early years to the fact that "like every well-trained Ohio man I had my plate the right side up when offices were falling." After a year he was back in Cincinnati as a circuit court judge where he remained for eight years. Taft began to gain national stature in 1900, when President McKinley sent him to the Philippines as chief civil administrator. Sympathetic toward the Filipinos, he improved the economy, built roads and schools, and gave the people at least some participation in government. In 1901, McKinley named Taft the first civil governor of the Philippines. His governorship of the islands was a high mark as he recognized that the first steps toward the goal of independence were public education and the end of ownership of land by the Roman Catholic friars. He reached an agreement with the Vatican whereby, with American financial assistance, the lands were sold back to the Filipinos. When Theodore Roosevelt succeeded the assassinated McKinley as president, he twice offered Governor Taft a place on the U.S. Supreme Court, but Taft declined, insisting that his work in the Philippines was not finished. Roosevelt had come to look upon Taft as his eventual successor and he was certain that he needed him in his cabinet. With the understanding that he could continue to oversee Philippine affairs from Washington, Taft accepted the post of Secretary of War. Taft as Secretary of War became the administration's "trouble shooter" at home and abroad. During the years between 1904 and 1908 Taft had direct charge of the construction of the Panama Canal. Roosevelt considered Taft one of his most valuable assets, so able was Taft that Roosevelt felt free to leave the capital whenever he wished, because he had "left Taft sitting on the lid." As Roosevelt's personal emissary Taft was sent on many diplomatic assignments. 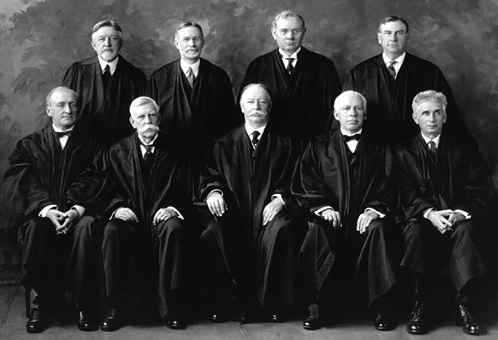 In 1906 Taft was again offered a seat on the Supreme Court. When asked if his father would accept, one of Taft's sons replied, "Nope. Ma wants him to wait and be president." 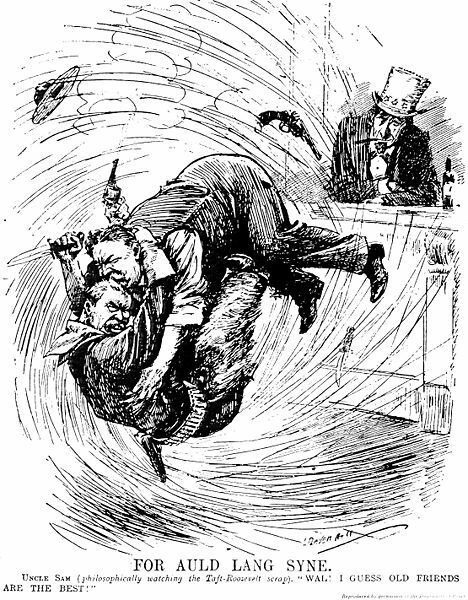 Roosevelt had vowed not to run again after the 1904 election. Taft was closely branded with Roosevelt and his policies, and many Roosevelt supporters believed him an ideal successor. 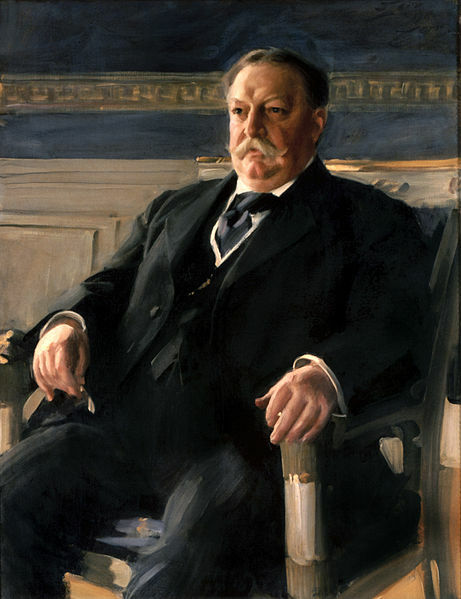 Roosevelt himself was satisfied that Taft's election would make certain that his reform programs were continued and he used his influence to get Taft the nomination. Taft became the Republican candidate on the first ballot. He was elected president in 1908 with a popular vote of 7,675,320 to candidate William Jennings Bryan’s 6,412,294 and an electoral vote of 321 to Bryan's 162. During his presidency, Taft introduced budgetary controls, an eight-hour workday for government employees, and a campaign-spending disclosure bill. His Administration prosecuted numerous companies under the anti-trust laws. In succeeding a president as multi-faceted and popular as Roosevelt however, Taft was at a serious disadvantage. 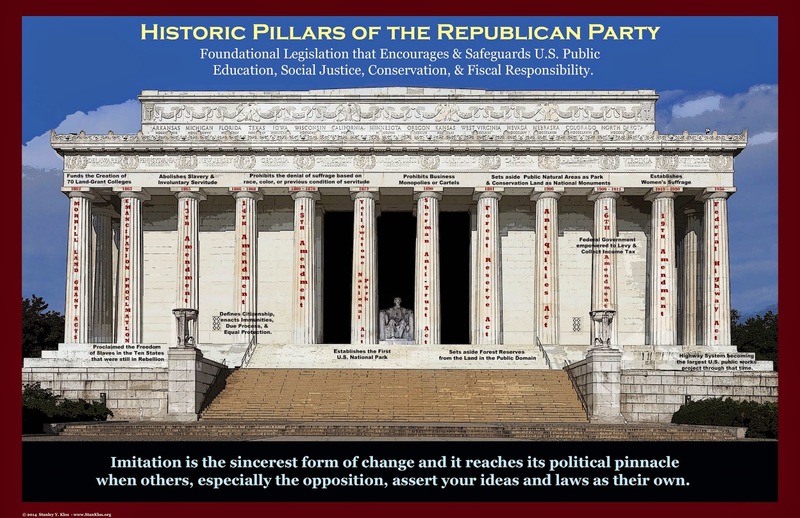 Taft had a judicial, not a political, personality. He was a procrastinator and a poor public speaker, and he altogether lacked Roosevelt's flair for dramatizing the issues and his intentions. Although Roosevelt could influence Taft, he soon discovered he could not mold him in his own image. Taft admitted the job of president intimidated him. Taft drew mounting criticism from Roosevelt, who eventually branded Taft an ineffectual conservative puppet of big business. Roosevelt made it clear early in 1912 that he wanted the Republican nomination for president. By this time the former friends were bitter enemies, and Taft was resolved that Roosevelt should not succeed. Taft prevented the seating of many Roosevelt delegates at the 1912 national convention with his control over the party machinery, and he kept the official Republican nomination for himself. However, his hopes for reelection were inadequate as his administration was uninteresting and failed to attract anybody's attention or enthusiasm. Roosevelt agreed and led his supporters out of the Republican Party to the Progressive, or Bull Moose Party, splitting the Republican vote. 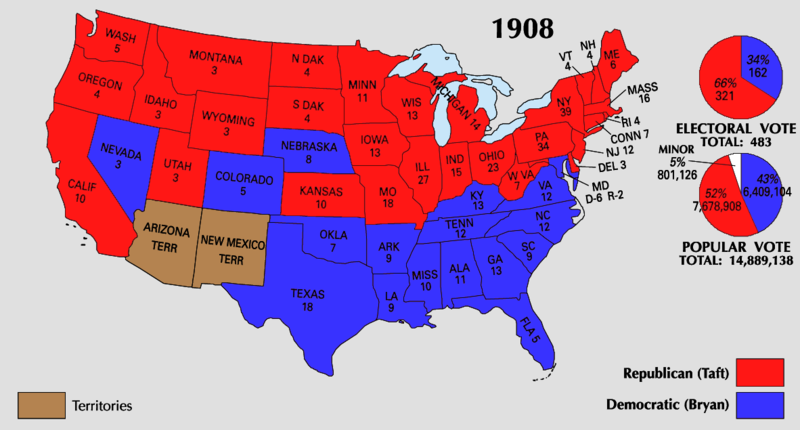 Democrat Woodrow Wilson won easily and Taft was released from the office he loathed. Taft, free of the Presidency, served as Professor of Law at Yale until President Harding made him Chief Justice of the United States Supreme Court -- a position he held until just before his death in 1930. To Taft, this appointment was his greatest honor; he wrote: "I don't remember that I ever was President." Heart disease forced Taft to retire from the court on February 3, 1930, and almost as if the surrender of the work he loved had sapped his remaining strength, he died on March 8, 1930 in Washington, D.C.